So this book here ,well my kiddo cousin brother had this book .So once again i borrowed the book and read.I had one realization ,we often complain about India being backward and no developments etc etc but have we ever tried to find out where we have exceeded .NO. We have so many great personalities,Scientists,Engineers,Doctors ,Mathematicians,Politicians for examples that we haven't heard of or who are lost in the pages of our history book. This is not a novel ,not story book.This one here is a basic introduction of those personalities that contributed to India. Ever heard the name Sir Mokshagundam Vishveshwaraiya .I bet you haven't.He is the Best engineer in British era.He built Sukka dam.He built dams on Moosi river to stop flooding in Hyderabad.He built the Krishnaraj Sagar Dam on river Kaveri in 1912.This project was termed impossible by British engineers and estimated to be in crores but Sir Vishveshwaraiya built it in stipulated time and also in limited resources. There are so many names Dr. Vishnu Shridhar Vakankar,Acharya Praphulla Chandra Ray,Nana Fananvees,Khan Abdul Gaffar Khan,Dr.Zakir Hussain. 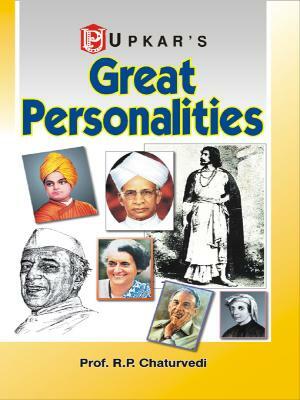 The book gives introduction of the personalities according to their fields. Literature and Scholarship,Politics,Science,Society and culture. There are introduction of famous personalities outside India also,like Sir Alfred Nobel,Fibonacci,Madam Curie etc.